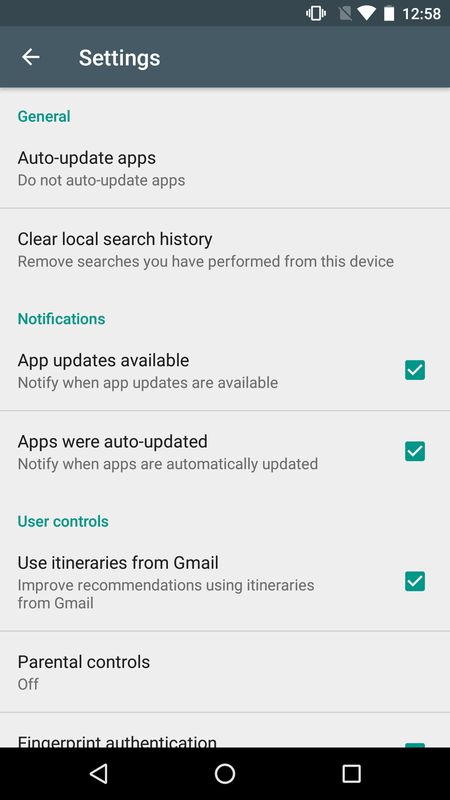 In his teardown of the Play Store v7.7, Cody discovered that change was afoot with the app's notification settings. A dedicated Notifications section was going to be added and now that change is live. 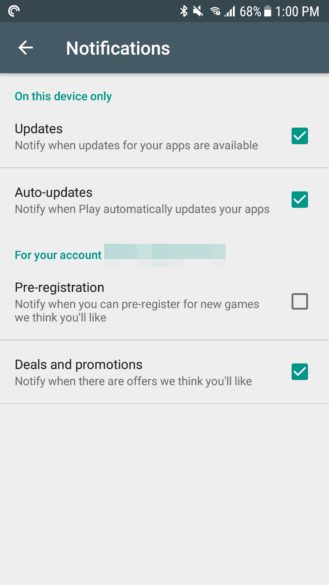 There's a new Notifications section in the Play Store's settings and it includes two new toggles other than updates being available and auto-updates being completed. One is to be notified when there are games you might like that are available for pre-registration (read: it's different from getting notified when a game you pre-registered for is now live). The other is for deals and promotions on content you might appreciate. 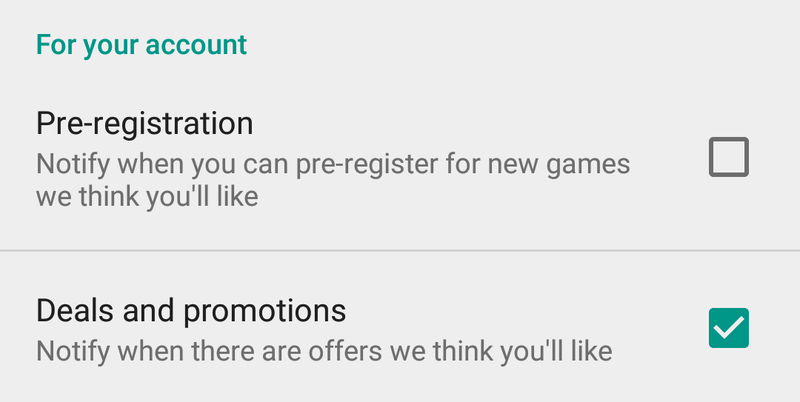 There's a delicate balance here, so both of these could be very well targeted and help you grab nice discounts and discover interesting games, or they could quickly turn into unwanted notifications. 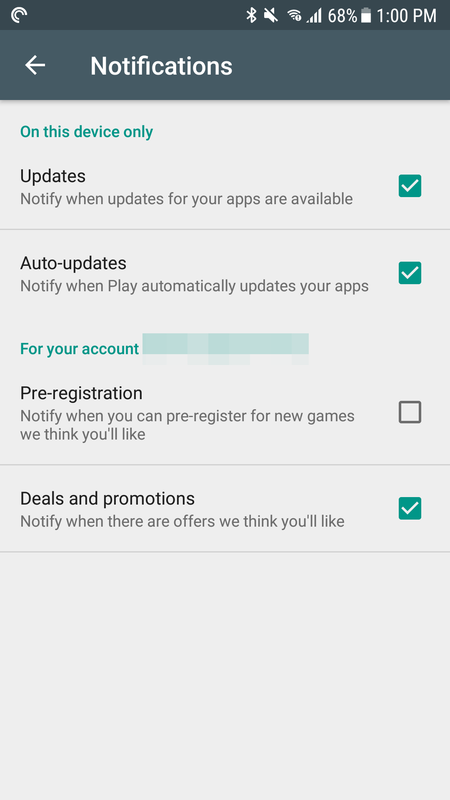 Left: Previous Play Store settings with notifications. Right: New dedicated Notifications tab. I can see this on the Play Store version 7.8.16, which is a relatively old version, and Artem has it on a newer version, but Cody for example can't see it on any of his devices yet. 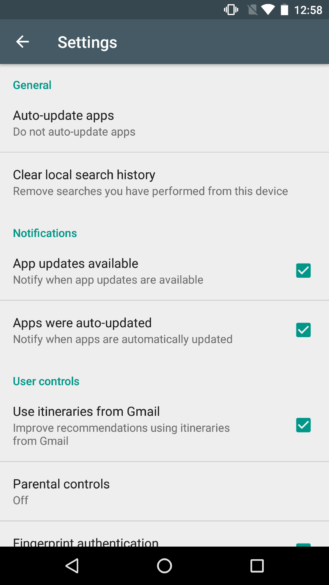 It's probably a server-side change so you might want to go into your Play Store settings to check if they're there and disable the ones you don't want.